In the enchanting state of New Mexico, there are plenty of reasons to finish your basement-- escape the heat and enjoy your new game room or put together a stylish family gathering with a new entertainment system and wet bar. The foundation repair experts at Total Basement Finishing only provide their customers with the highest quality ideas, repairs, and basement remodeling system. Whether you have questions about redesigning the space or you fear the water problems, your basement finishing expert in New Mexico has the answers and the resources to transform your basement into a beautiful extra room of your choice. The patented products used by TBF dealers include basement ceiling tiles, waterproof wall system and floors, in addition to basement windows and energy-efficient dehumidifiers. This isn't just talk; these experts stand beside their products, which is why they offer a 50-year warranty on your basement finishing system. With a warranty like this, you can have piece of mind as well as a new, comfy space. Contact the basement finishing expert in New Mexico. Having received the necessary training and certifications, you can trust that your specialist is prepared to help and answer all your questions and help make your dream room become a reality! Schedule your free inspection and receive a no-obligation written estimate! 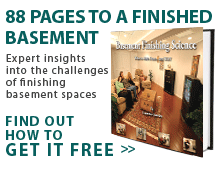 Contact your local basement finishing expert in New Mexico and receive the help you need, today!